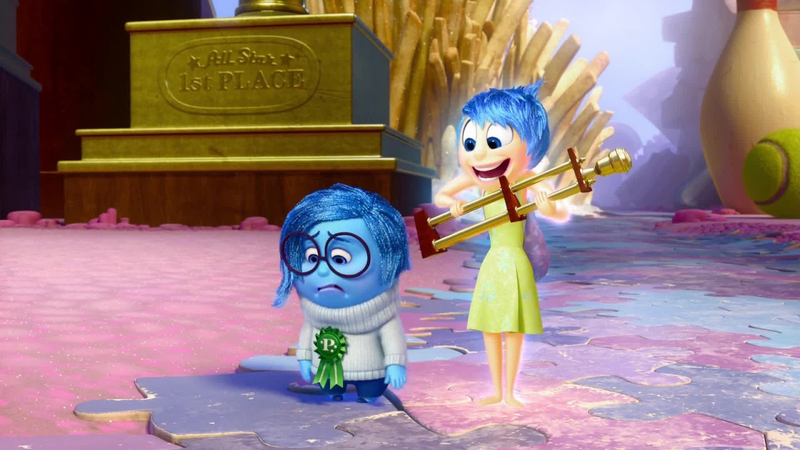 Everyone I know loved Inside Out (2015)…except me. I understand the message that without sadness we cannot know joy. This is a pretty common saying, and it was cute that Disney got its message across by breaking up our minds and impulses into little beings living in our head, rolling giant marbles of memory around for us. The actual breakdown into Joy, Sadness, Fear, Anger, and Disgust felt somewhat random, largely because I think of “disgust” as a combination of fear and anger rather than its own emotion. In this context, the green female Disgust character seemed mostly there to play on the stereotype of spoiled bratty girls, balanced by the stereotype of anger as male. I’m not saying everything in the film was a stereotype. I like putting fear into a male character, since girls are most often deemed fearful, but then, is the depiction also saying boys should worry more about fear than girls because they must grow up to be big tough men? The sloppier emotions, if you want to call them that (sadness and disgust), are dumped on girls. 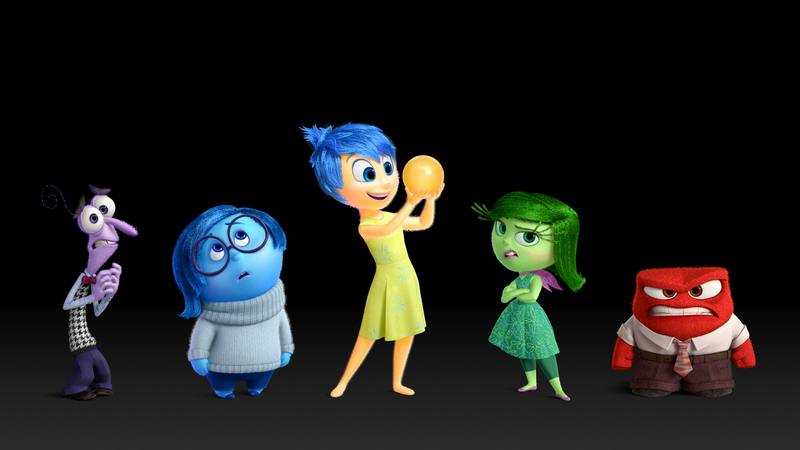 This brings me to my biggest complaint about Inside Out: appearance norms. Why does Joy look like Tinkerbell while Sadness looks like Velma from Scooby Doo? Why does Sadness need to be short and fat and clumsy and blue and wearing glasses, if not to suggest she is less than Joy, who is so very thin and blue-eyed and white? Haven’t we gotten past pitting girls/women against each other? Why are we still discovering that “beauty is only skin-deep” while the lead character perfectly exemplifies only-skin-deep beauty? Again, I understand that the Joy type is being critiqued by the film, that she must learn that looks and popularity are not everything or even the most important things. But Joy isn’t all surface and Sadness is neither smart nor capable. I cringe as I imagine larger girls watching the film and wanting to crawl into a hole. I may be old enough now to resist these kinds of messages—or at least to critique them for the sexist status quo fodder that they are—but are today’s young girls, the kids raised on Bratz dolls, equipped to do the same? By the end, the best the film seems to offer to those who are short, fat, insecure, or depressed is that everybody has some of that inside, and it’s important not to ignore your “bad” side. But why should those characteristics, after all this time, still be the automatic indicators to symbolize what’s bad in us? That’s no feminist message for the girl who’s always picked last in gym class and already on a diet in fourth grade.